If this card is Normal or Special Summoned: You can Special Summon 1 "Destiny HERO" monster from your hand with ATK less than or equal to this card's ATK on the field. You can only use this effect of ..
During damage calculation (in either player's turn) when you would take battle damage: You can discard this card; make yourself take no battle damage from that battle, and if you do, each player takes..
Level 6 or higher monsters your opponent controls cannot target this card for attacks. You can only use each of the following effects of "Destiny HERO - Decider" once per Duel. :- If this card is Norm..
2 "Destiny HERO" monsters. If this card is Special Summoned: You can target 1 Level 4 or lower "Destiny HERO" monster in your Graveyard; inflict damage to your opponent equal to that target's ATK. Dur.. If you have 3 or more "Destiny HERO" monsters in your Graveyard: You can discard this card, then target 1 "Destiny HERO" monster in your Graveyard; Special Summon it to your opponent's field in Defens.. When this card declares an attack: You can target 1 face-up Spell Card your opponent controls; destroy it, and if you do, inflict 500 damage to your opponent. While you have no cards in your hand, exc.. If this card is Normal Summoned: It is also treated as a "Destiny HERO" monster while face-up on the field. You can only use each of the following effects of "D Cubed" once per turn. :- You can discar..
Fusion Summon 1 Fusion Monster from your Extra Deck, using monsters you control as Fusion Materials, and if you do, it cannot be destroyed by battle or card effects this turn. Only "Destiny HERO" mons..
Once per turn: You can excavate the top card of your Deck, and if it is a Normal Spell Card, send it to the Graveyard, otherwise place it on the bottom of your Deck. During the Main Phase of your next.. Cannot be Normal Summoned/Set. Must be Special Summoned (from your hand) by Tributing 3 monsters, including at least 1 "Destiny HERO" monster, and cannot be Special Summoned by other ways. If you stil.. Cannot be Normal Summoned/Set. 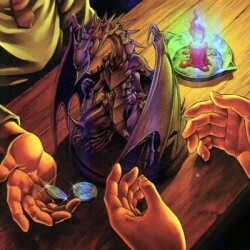 Must be Special Summoned (from your hand) by Tributing 3 monsters, and cannot be Special Summoned by other ways. Negate the effects of face-up monsters while your oppone..
"Destiny HERO - Plasma" + "Destiny HERO - Dogma". A Fusion Summon of this card can only be done with the above Fusion Materials. Once per turn: You can target 1 monster your opponent controls; destroy..
Target 1 "Destiny HERO" monster in your Graveyard; Special Summon 1 "Destiny HERO" monster from your Deck whose Level is less than or equal to half of that target's Level, but destroy it during the En..
Pendulum Effect:- Once per turn: You can Tribute 1 "Abyss Actor" monster, then target 1 face-up monster your opponent controls; it loses ATK equal to the original ATK of the Tributed monster, until th..
Pendulum Effect:- Once per turn: You can Tribute 1 "Abyss Actor" monster, then target 1 "Abyss Actor" monster you control; it gains ATK equal to the original ATK of the Tributed monster, until the end..
Pendulum Effect:-Once per turn: You can Tribute 1 "Abyss Actor" monster, then target 1 "Abyss Script" Spell Card in your Graveyard; add it to your hand. Monster Effect:- When Normal or Special Summone..
Pendulum Effect:- If an "Abyss Actor" monster(s) you control would be destroyed by battle or an opponent's card effect, you can destroy this card instead. Monster Effect:- The first time this card wou..
Pendulum Effect:- If your opponent controls a monster: You can Special Summon this card from your Pendulum Zone. You can only use this effect of "Abyss Actor - Extras" once per turn. Monster Effect:- ..
Pendulum Effect:- Once per turn, when you take battle damage from an opponent's attacking monster: You can activate 1 of these effects; :-That opponent's monster loses ATK equal to the damage you took..
Pendulum Effect:- Once per turn: You can target 1 "Abyss Actor" card in your other Pendulum Zone; its Pendulum Scale becomes 9 until the end of this turn, also you cannot Special Summon monsters for t..
Target 1 "Abyss Actor" monster you control; this turn, every monster that battles it, but is not destroyed, returns to the hand at the end of the Damage Step. If this Set card in its owner's control i..
Gain 500 LP for each "Abyss Actor" monster you control. If this Set card in its owner's control is destroyed by an opponent's card effect, and you have a face-up "Abyss Actor" Pendulum Monster in your..
Target 1 "Abyss Actor" monster you control; if it destroys your opponent's monster by battle this turn, your opponent banishes 3 monsters from their Extra Deck (their choice). If this Set card in its .. The first time each "Abyss Actor" monster you control would be destroyed by battle each turn, it is not destroyed. Once per turn: You can target 1 "Abyss Actor" monster you control; your opponent cann..
Target face-up cards on the field, up to the number of Attack Position "Abyss Actor" monsters with different names you control; destroy them. If you control a Level 7 or higher "Abyss Actor" monster, .. If you have 2 "Abyss Actor" cards in your Pendulum Zones: Add 2 "Abyss Actor" Pendulum Monsters with different names from your Deck to your Extra Deck face-up. You can only activate 1 "Abyss Actors Ba..